Designed for Japanese employees working abroad. There is no prerequisite for attending this program. Everything you need to know to better understand your colleagues and adapt in order to work and communicate more efficiently. You will gain a deeper understanding of key concepts and work practices and how they differ from yours. You will also become more familiar with business protocol. Special emphasis is put on the local culture and customs in the country where the program is held. Working more efficiently with non-Japanese: How do non-Japanese see Japanese? What are their difficulties working with Japanese? What do they expect from their Japanese colleagues or managers? What can Japanese expect from their local staff? 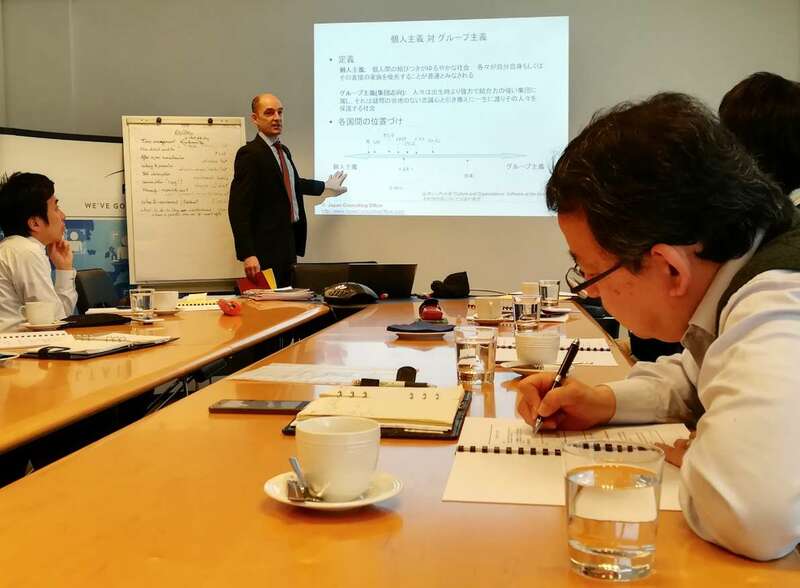 The trainer will illustrate the points discussed with examples from his/her own experience working with Japanese and share insightful anecdotes. The training language is Japanese, enabling participants to ask any questions and receive tips and advice on how to best collaborate with and manage non-Japanese colleagues. This training is also regularly offered as a public course. Please find all details below.